Download "780 苏云金芽胞杆菌 BRC-ZLL5 类细菌素的抑菌谱和理化特性 5 期 对于序列未知的细菌素或部分提纯的细菌素也常用类细菌素 (Bacteriocin-like inhibitory substances, 简称 BLIS) 的说法来代替 [6-7] . 细菌素主要分为 4 大类 : 第"
1 DOI: /SP.J 苏云金芽胞杆菌 BRC-ZLL5 类细菌素的抑菌谱和理化特性 黄天培 吴小凤 3 潘洁茹 2 蒋捷 肖颖 张灵玲 关雄 福建农林大学生物农药与化学生物学教育部重点实验室福州 福州市疾病预防控制中心福州 泉州市疾病预防控制中心泉州 应用与环境生物学报 Chin J Appl Environ Biol 204,20 ( 5 ) : 摘要为提升苏云金芽胞杆菌 (Bacillus thuringiensis, 简称 Bt) 生物农药产品附加值, 通过对其发酵上清液提取细菌素, 进一步研究 Bt 菌株 BRC-ZLL5 类细菌素 (Bacteriocin-like inhibitory substances,blis) 的抑菌谱和理化特性. 结果显示 :BRC-ZLL5 类细菌素对李斯特菌 铜绿假单胞杆菌 粪链球菌具有活性, 对 4 种肠道益生菌及自身无抗菌活性 ; 抑菌活性动态监测表明其活性集中于 6-8 h, 在 2 h 达到最大值 ; 分子量 (M r ) 小于 ; 具有较广的 ph 耐受范围 (ph 3-9) 和较强的耐热能力 (50-90 时活性极显著提高 ;2 高压灭菌 5 min 仍保持 32% 活性 ); 脂肪酶 Ⅱ 可极显著提高其活性 (P < 0.0), 蛋白酶 K α 胰凝乳蛋白酶 Ⅶ α 胰凝乳蛋白酶 Ⅱ 使其活性消失 (P < 0.0). BRC-ZLL5 类细菌素可望用于进一步开发, 本研究为高效利用 Bt 发酵上清液提供了依据. 图 4 表 参 27 关键词细菌素 ; 苏云金芽胞杆菌 ; 抑菌谱 ; 理化特性 CLC S476 Antibacterial spectrum and physiochemical property of bacteriocin-like inhibitory substances from Bacillus thuringiensis BRC-ZLL5 HUANG Tianpei, WU Xiaofeng 3, PAN Jieru 2, JIANG Jie, XIAO Ying, ZHANG Lingling & GUAN Xiong Key Laboratory of Biopesticide and Chemical Biology, Ministry of Education, Fujian Agriculture and Forestry University, Fuzhou , China 2 Fuzhou Center for Disease Control and Prevention, Fuzhou , China 3 Quanzhou Center for Disease Control and Prevention, Quanzhou 36208, China Abstract To add value to Bacillus thuringiensis (Bt) products, extraction of bacteriocins from Bt fermentation supernatants is needed. This paper aimed to study the extraction methods and the property of Bt bacteriocin-like inhibitory substances (BLIS). In this study, antibacterial spectrum and physiochemical property of Bt BRC-ZLL5 BLIS were investigated using Listeria monocytogenes (Lm) as one of the indicator strains. The results showed that BRC-ZLL5 BLIS were active against Listeria, Pseudomonas aeruginosa and Streptococcus faecalis, but not against itself and 4 probiotics. The activity of BRC-ZLL5 BLIS against Lm existed for 6-8 h after incubation, peaking at 2 h after incubation. The molecular weight (M r ) of BRC- ZLL5 BLIS was less than The BRC-ZLL5 BLIS were ph stable (ph 3-9) and heat-resistant: compared with that at 4 C, the activity of BRC-ZLL5 BLIS was significantly increased after treatment at C for 30 min; it retained 32% activity after treatment at 2 C for 5 min. The antibacterial activity of BRC-ZLL5 BLIS was increased with addition of lipase II (P < 0.0) while completely lost after treatment with proteinase K, α-chymotrypsin VII and α-chymotrypsin II (P < 0.0). This study provides a model for utilization of Bt fermentation supernatants with high efficiency. 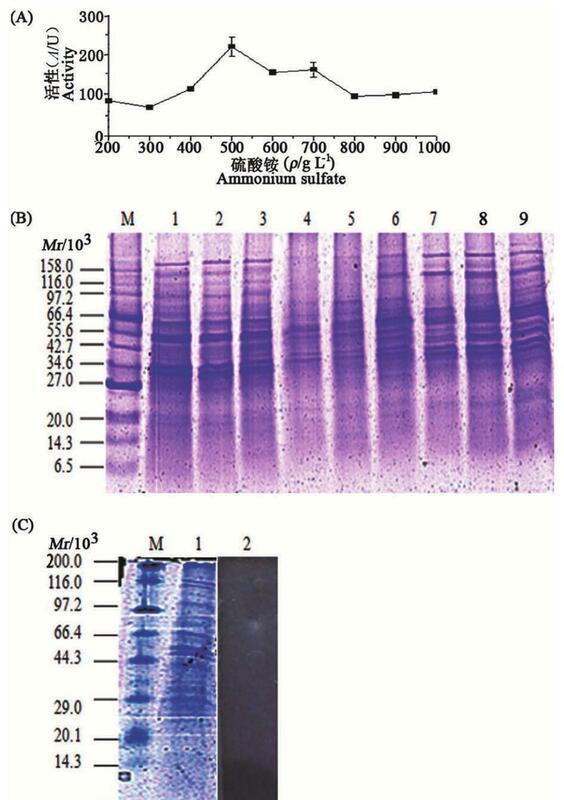 Keywords bacteriocin; Bacillus thuringiensis; antibacterial spectrum; physiochemical property 单核细胞增生李斯特菌 (Listeria monocytohenes, 简称 收稿日期 Received: 接受日期 Accepted: 十二五 农村领域国家科技计划课题 (20AA0A203) 国家自然科学基金项目 (320574,307745) 和福建省教育厅高校领军人才项目 (k80202a) 资助 Supported by the National Science and Technology Project of the Twelfth Five-Year-Plan for the Rural Development in China (20AA0A203), the National Natural Science Foundation of China (320574, ), and the Leading Talents of Fujian Province Colleges (k80202a) 通讯作者 Corresponding author ( Lm) 为人畜共患病原细菌, 是一种常见的引起畜禽肉和水产品污染的重要致病菌 [-2]. 受该菌感染引起的疾病, 临床死亡率极高, 可达 30%-70% . 食源性李斯特菌虽未在我国暴发和流行, 但已有 Lm 引起孕妇发病从而导致围产儿死亡的案例报道, 以及 Lm 造成的脑膜炎和新生儿败血症等事件 . 目前控制 Lm 常见的方法之一是在食品中添加防腐剂. 近年来, 细菌素 (Bacteriocin) 等生物防腐剂成为食品科学研究领域中的一个热点 . 细菌素是由某些细菌在代谢过程中通过核糖体合成机制产生的一类具有生物活性的多肽或蛋白质类物质.